While 94% of supply chain leaders say that digital transformation will fundamentally change supply chains in 2018, only 44% have a strategy ready. 66% of supply chain leaders say advanced supply chain analytics are critically important to their supply chain operations in the next 2 to 3 years. Forecast accuracy, demand patterns, product tracking traceability, transportation performance and analysis of product returns are use cases where analytics can close knowledge gaps. These and other insights are from The Hackett Group study, Analytics: Laying the Foundation for Supply Chain Digital Transformation (10 pp., PDF, no opt-in). The study provides insightful data regarding the increasing importance of using analytics to drive improved supply chain performance. Data included in the study also illustrate how analytics is enabling business objectives across a range of industries. The study also provides the key points that need to be considered in creating a roadmap for implementing advanced supply chain analytics leading to digital transformation. 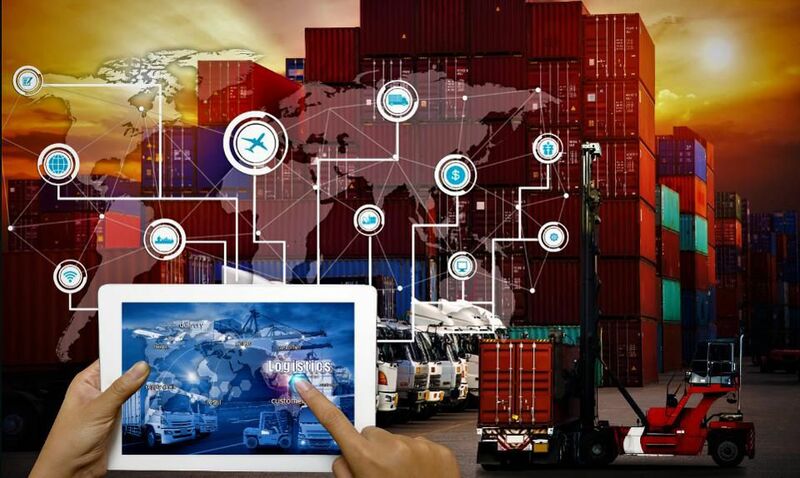 It’s an interesting, insightful read on how analytics are revolutionizing supply chains in 2018 and beyond. 66% of supply chain leaders say advanced supply chain analytics are critically important to their supply chain operations in the next 2 to 3 years. The Hackett Group found the majority of supply chain leaders have a sense of urgency for getting advanced supply chain analytics implemented and contributing to current and future operations. The majority see the value of having advanced analytics that can scale across their entire supplier network. Improving forecast accuracy, optimizing transportation performance, improving product tracking & traceability and analyzing product returns are the use cases providing the greatest potential for analytics growth. Each of these use cases and the ones that are shown in the graphic below has information and knowledge gaps advanced supply chain analytics can fill. Of these top use cases, product tracking and traceability are one of the fastest growing due to the stringent quality standards defined by the US Food & Drug Administration in CFR 21 Sec. 820.65 for medical products manufacturers. The greater the complexity and cost of compliance with federally-mandated reporting and quality standards, the greater potential for advanced analytics to revolutionize supply chain performance. Optimizing production and sourcing to reduce total landed costs (56%) is the most important use case of advanced supply chain analytics in the next 2 to 3 years. The Hackett Group aggregated use cases across the four categories of reducing costs, improving quality, improving service and improving working capital (optimizing inventory). Respondents rank improving working capital (optimizing inventory) with the highest aggregated critical importance score of 39%, followed by reducing costs (29.5%), improving service (28.6%) and improving quality (25.75%). 44% of supply chain leaders are enhancing their Enterprise Resource Planning (ERP) systems’ functionality and integration to gain greater enterprise and supply chain-wide visibility. Respondents are relying on legacy ERP systems as their main systems of record for managing supply chain operations, and integrating advanced supply chain analytics to gain end-to-end supply network visibility. 94% of respondents consider virtual collaboration platforms for internal & external use the highest priority technology initiative they can accomplish in the next 2 to 3 years. The majority of companies are operating at stages 1 and 2 of the Hackett Group’s Supply chain analytics maturity model. A small percentage are at the stage 3 level of maturity according to the study’s results. Supply chain operations and performance scale up the model as processes and workflows are put in place to improve data quality, provide consistent real-time data and rely on a stable system of record that can deliver end-to-end supply chain analytics visibility. Integrating with external data becomes critically important as supply networks proliferate globally, as does the need to drive greater predictive analytics accuracy.